The Bedaya Centre for Entrepreneurship and Career Development (Bedaya Centre), a joint initiative by Qatar Development Bank and Silatech, will be hosting the ‘Shall I Follow the Trend/Alhabah Projects’ panel discussion on February 10 at the City Centre Rotana Doha Almass Ballroom. 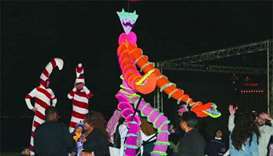 Folk shows, as well as other performances such as the Snow White theoretical play and competitions displayed by ‘Anasa W Wanasa’ troupe, enthralled many families and children during the five-day event. The Bedaya Centre for Entrepreneurship and Career Development (Bedaya Centre) recently hosted a workshop titled ‘How to Excel in my Career’ at the Katara Art Centre –Building 5 at Katara – The Cultural Village. 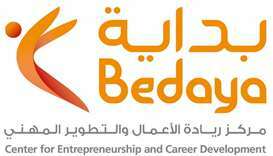 Bedaya Centre for Entrepreneurship and Career Development (Bedaya Centre) has launched its Career Development Programme for the second consecutive year. 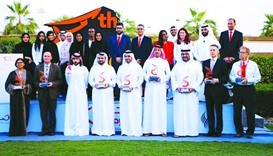 The Bedaya Centre for Entrepreneurship and Career Development (Bedaya Centre), a joint initiative by Qatar Development Bank (QDB) and Silatech, recently-celebrated its fifth anniversary, it was announced. The Career Development Department of Bedaya Centre for Entrepreneurship and Career Development, a joint initiative by Qatar Development Bank and Silatech, has participated in the Qatar International Universities Fair (QIUF). Bedaya Centre for Entrepreneurship and Career Development, a joint initiative by Qatar Development Bank and Silatech, introduced at the National Sport Day (NSD) activities at Katara – The Cultural Village, ‘Dukan’, a pop-up shop that showcased sport and health start-ups.